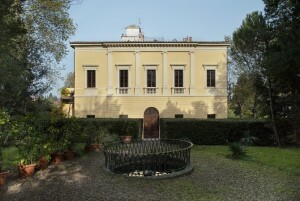 For five years, the Gigliucci family resided in the Villa Romana. 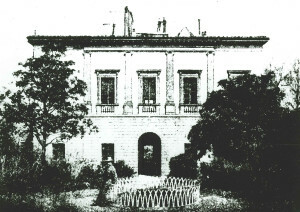 It was here that Mario Gigliucci conceived of his Villino, the Villa Rossa. In 1905, the German symbolist artist Max Klinger (1857-1920) bought the Villa Romana on Via Senese and turned it into an artists’ association. Ever since 1905, the Villa Romana has offered a fellowship to young German artists in order to provide “a forum for artistic production in Florence that was independent of state support and education,”offering professional artists free lodging and studio space. The Villa Romana Fellowship is the oldest German art prize. From its inception, the institution has been a liaison point between artistic communities, especially those of Italy and Germany. In the large hall of the Villa Romana, as well as in its fifteen-thousand-square-meter garden, contemporary art is regularly exhibited.